Step out of the city life by going to Bellevue Beach and Nuuksio National Park. Eschew the tourist crowds and head to Seurasaari Island and Open-Air Museum and Okra. There's much more to do: explore the galleries of Sea Fortress Suomenlinna, hunt for treasures at Hakaniemi Market, admire the striking features of Rock Church, and wander the streets of Katajanokka. Toronto, Canada to Helsinki is an approximately 13-hour flight. You can also do a combination of flight and ferry; or do a combination of flight and train. You'll lose 7 hours traveling from Toronto to Helsinki due to the time zone difference. Prepare for little chillier weather when traveling from Toronto in May: high temperatures in Helsinki hover around 18°C and lows are around 7°C. Cap off your sightseeing on the 18th (Sat) early enough to go by car to Porvoo. Start off your visit on the 19th (Sun): steep yourself in history at The Runeberg Home, get some fabulous bargains at Brunberg Candy Factory Shop, make a trip to Porvoo Old Town, then shop like a local with Nasin Kartanon Galleria, then admire the landmark architecture of Cathedral of Porvoo, and finally get to know the fascinating history of Castle Hill. 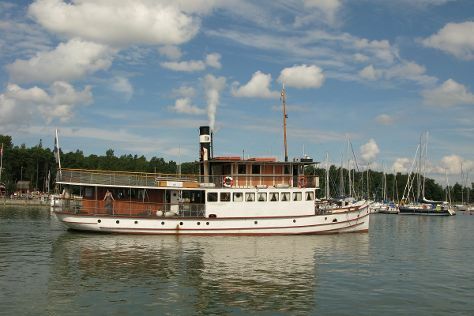 To find where to stay, photos, and more tourist information, use the Porvoo day trip planner. Traveling by car from Helsinki to Porvoo takes an hour. Alternatively, you can take a bus. In May in Porvoo, expect temperatures between 18°C during the day and 6°C at night. 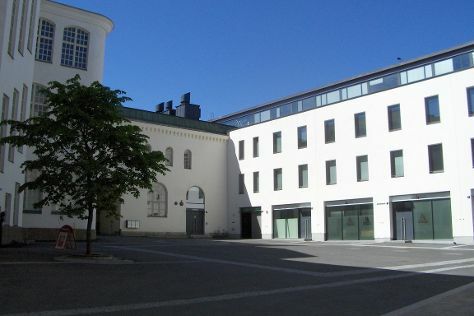 Cap off your sightseeing on the 19th (Sun) early enough to go by car to Turku. On the 20th (Mon), browse the different shops at Kauppakeskus Mylly and then hike along The Archipelago Trail. On the 21st (Tue), you'll have a packed day of sightseeing: kick back and relax at Ispoinen Beach and Sauna and then examine the collection at Louhisaari Manor. For where to stay, maps, and more tourist information, refer to the Turku itinerary app . You can drive from Porvoo to Turku in 2.5 hours. Alternatively, you can do a combination of bus and train; or take a bus. In May in Turku, expect temperatures between 17°C during the day and 5°C at night. Finish up your sightseeing early on the 21st (Tue) so you can catch the train to Tampere. To see ratings, more things to do, traveler tips, and tourist information, you can read our Tampere trip builder . Getting from Turku to Tampere by train takes about 2 hours. Other options: drive; or do a combination of flight and train. In May, plan for daily highs up to 17°C, and evening lows to 4°C. Wrap up your sightseeing on the 23rd (Thu) early enough to travel to Oulu. Oulu is a city and municipality of inhabitants in the region of Northern Ostrobothnia, Finland. Start off your visit on the 23rd (Thu): take in the spiritual surroundings of Oulu Cathedral, then examine the collection at Kierikki Stone Age Centre, and then have fun at Tietomaa. Here are some ideas for day two: tour the pleasant surroundings at Nallikari Beach, then explore the world behind art at Oulun Taidemuseo, then examine the collection at Pohjois-Pohjanmaan museo, and finally view the masterpieces at Pohjoisen Valokuvakeskus. To find photos, ratings, traveler tips, and other tourist information, refer to the Oulu online day trip planner . Getting from Tampere to Oulu by combination of train and flight takes about 4.5 hours. Other options: take a train; or drive. When traveling from Tampere in May, plan for little chillier days in Oulu, with highs around 14°C, while nights are about the same with lows around 4°C. Wrap up your sightseeing by early afternoon on the 25th (Sat) to allow enough time to travel back home.